Since the Ukrainian IT sector is facing significant growth; the ongoing process of visa simplification is under current discussion. The Ministry of Foreign Affairs of Ukraine is reviewing current legislation to facilitate the international communication with Ukraine and grant potential clients and investors to Ukrainian IT market with less red tape procedures. For an eased traveling connection, Ukraine has widely established air and land transportation. document proving legal nature of transportation services – license, etc. A foreigner applying for a visa might be also asked for additional conversation/interview or documents supporting the traveling objective. 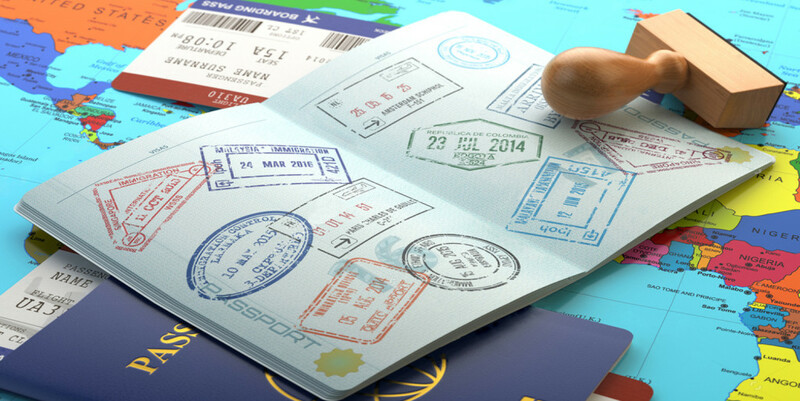 The requirements related to the traveling documents or passport include valid passport for not less than three months; issuing year not earlier than 10 years with at least two spare pages. For minor children, the visa processing procedure requires permission from parents or representatives, and other documents. Documents applied for a visa are usually processed within fifteen calendar days (possibly more, depending on the requirements). If applying for an express visa (processed within less than 15 days), a person will pay the double price due to burning processing period if possible. We also recommend visiting the Ministry of Foreign Affairs’ official website for advanced information provided you have not found the required information peculiar to your passport and country. What makes Ukraine especially attractive is the location: practically in the middle of Europe and Asia, which magnetizes both potential clients and investors seeing the prosperous future of Ukraine's IT outsourcing market. Ukraine's cities comprising the TOP-5 of IT outsourcing destinations: Kyiv, Kharkiv, Lviv, Dnipro and Odesa offer vast options of travelling communication, including international air traffic, busses, trains, etc. What makes Ukraine even more enticing is that it does not matter where you come from: it is easy to get here from the world's largest cities. For instance, if compared, the distance from Kyiv to London is 2402 km, to Berlin is 1347 km, to New York – 7520 km, whilst Delhi – London is 6719 km, Delhi to Berlin is 5787 km, and Delhi to New York – 11768 km. You can also check our Playbook for additional information on air transportation to Ukraine. According to the recent information by Pavlo Klimkin, Ukraine’s Foreign Minister, Ukraine is on the verge of signing the agreement with EU on non-visa required for Ukrainian citizens. The decision is to be taken within few months, although, it has been promised for a while already.